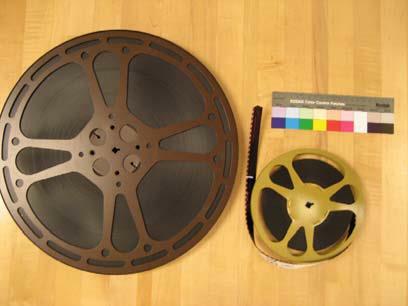 The California State Archives has audio/visual records in several formats including, but not limited to, motion picture film, VHS videotape, Beta videotape, U-Matic videotape, audiocassette, DVD, CD, Mini-Disc, 2-inch quad videotape, phonograph, transcription disc, instantaneous disc, Dictabelt, Soundscriber Disc, magnetic tape, and reel-to-reel audiotape. The program provides a suite of digitization and duplication services for the audio/visual items at the State Archives. These services enhance patron access to information stored on a variety of analog media. The A/V Records Program can also facilitate the off-site duplication of the motion picture film from the collection. The State Archives is in the continual process of acquiring equipment for the audio/visual processing and digitization lab. The lab has space to process audio/visual records and has a dedicated digitization station that utilizes legacy equipment to provide greater public access to audio/visual records. The A/V Records Program also works closely with the Preservation Department to identify items in need of conservation treatments. 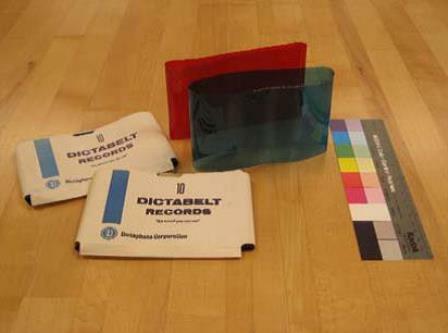 The Preservation Department has created new, archival-quality housing for Dictabelts and Soundscriber Discs. The A/V archivist coordinates the State Archives’ efforts in the California Revealed Project. To find out more about those efforts and the audiovisual material that has been digitized and made publicly available, click here. For more information about Audiovisual Records, please email Archivesweb or call (916) 653-7715.